EvoMATRIX is a multifunctional system allowing to efficiently apply each and every technique of modern aesthetic medicine based on application of CO2 lasers. 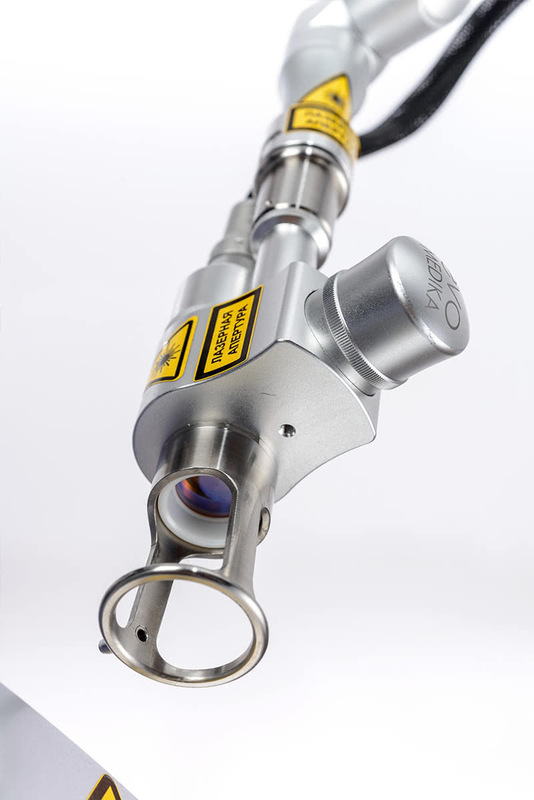 The advanced laser technologies applied when developing this system allowed to ensure a unique combination of user characteristics unattainable for other devices available on the market. The technologies applied in the EvoMATRIX provide the beam diameter of less than 90 µm. Due to this unique feature laser radiation exposure to skin causes the minimum possible injury and ensures the maximum short time of cutaneous covering restoration after a treatment. 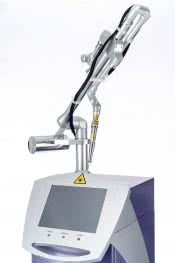 Thanks to the small diameter and high quality of the laser beam, exposure accuracy of the EvoMATRIX is increased almost twice and each coagulative hole in the skin has the optimal size, same regular shape and equal depth over the entire scanning area which ensures uniform skin treatment and eliminates the risks of uncontrolled violation of treatment protocols. Depending on the patient’s skin condition, the type of the procedure performed and the shape of the treated area, a doctor can choose one out of 25 power levels, 26 spot densities, 20 treatment depths, 3 scanning types, 4 scanning shapes as well as to optimise the scanning area size. 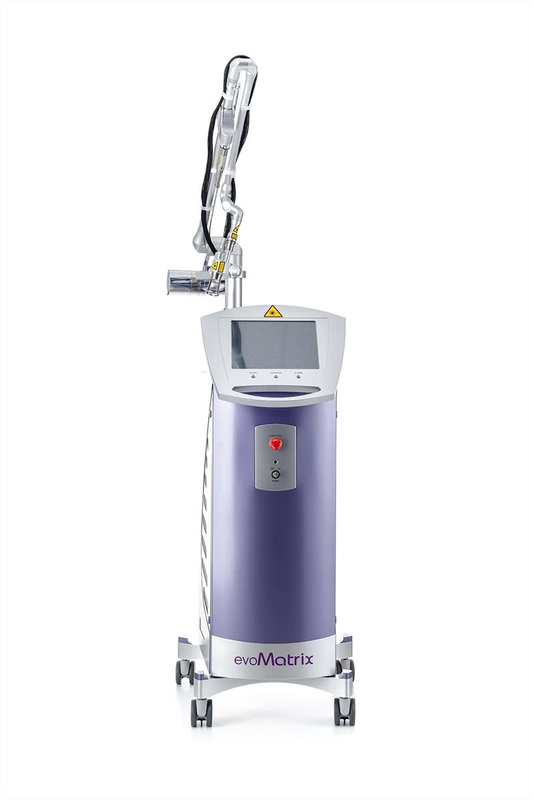 Thanks to such a wide optimisation possibilities, the EvoMATRIX ensures a highest flexibility in selecting treatment protocols and the maximum treatment efficiency. As performing treatments with a CO2 laser is associated with controlled damage to cutaneous covering, to ensure patients’ safety and comfort it is necessary to strictly control the selected laser radiation parameters in the course of a treatment. 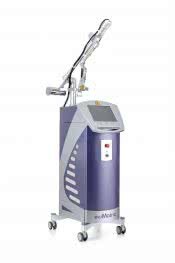 That is why we have equipped the EvoMATRIX with an intellectual system of automatic control over laser radiation energy which ensures a highest exposure accuracy and patients’ safety during a treatment. The EvoMATRIX demonstrates one of the minimum scanner dimensions and weight among the systems available on the market. Light-weight and ergonomic scanner makes a doctor’s work convenient to the maximum as well as minimises his/her physical fatiguability even when performing long procedures. Thanks to utilisation of a high-quality ceramic RF tube, the laser operating parameters remain unchanged for many years. This system does not need a cooling system and most of its units do not require service maintenance. 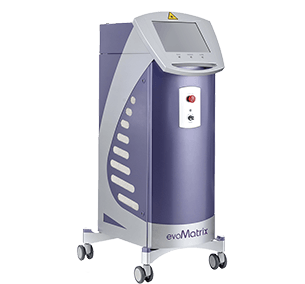 Therefore, the technologies embodied in the EvoMATRIX allow to considerably increase service intervals and thus reduce your ownership costs for this high-end device. 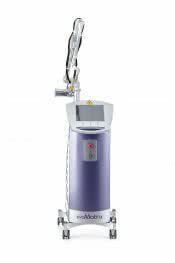 Non-contact air skin coolers Cryo-6 can be an alternative to injection anaesthesia when performing fractional treatments or vaporising multiple small neoplasms (like papillomas, etc.). Such skin coolers efficiently reduce painful sensations and eliminate a possibility of allergic reactions. To increase patients’ comfort in the course of treatments the EvoMATRIX can be used together with compact and efficient EvoCOOL and SkinCOOLER contact skin coolers ensuring efficient cooling of the treatment area down to -5°C. The contact coolers are equipped with 4 changeable plates of different diameters intended for cooling different-size areas. Moderate price and compact design of these devices will be appreciated by users.